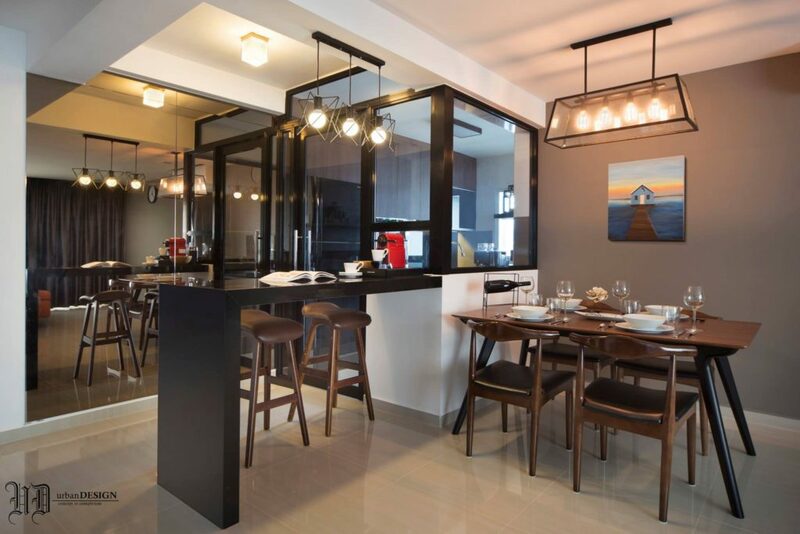 Kitchen interiors are pretty hard to pin down, mostly because they have predetermined limitations of the technical variety. These include a basic counter, stove and sink set, so playing about the aesthetics of this limited space becomes challenging. But with this constraint we’ve also got a lot of contemporary innovations that have led designers to tackle this challenge upfront. When you have a great materials, awesome design techniques and a creative mindset; there is nothing you cannot accomplish. So below, we will be looking at some of the most unique kitchen design interventions featured in our gallery. 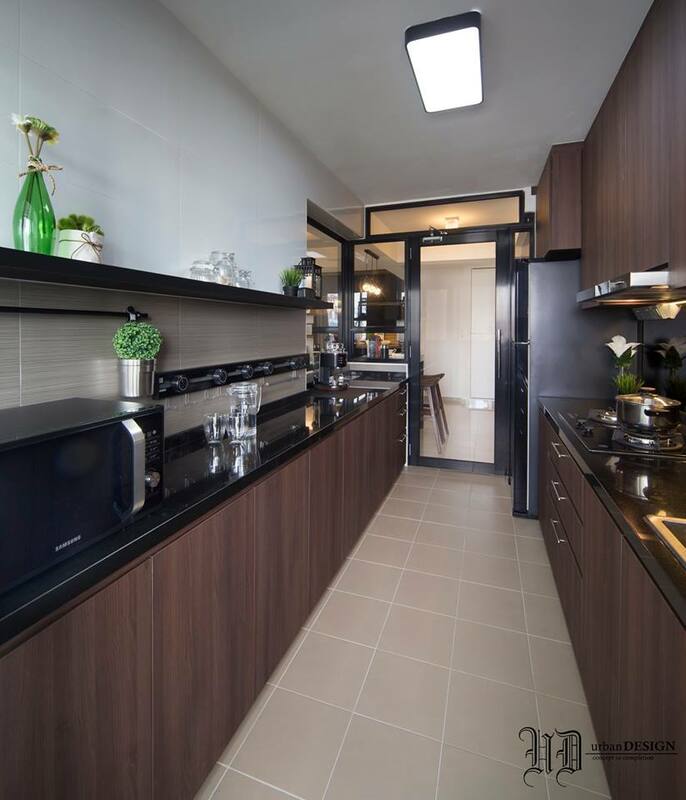 Laminates are a newer, composite genre of wall applications that have been redefining the kitchen design game. There are so many colors and textures available in the market that it is impossible not to be attracted to them. They are also comparatively cost efficient and tend to give off unique aesthetics within any space. 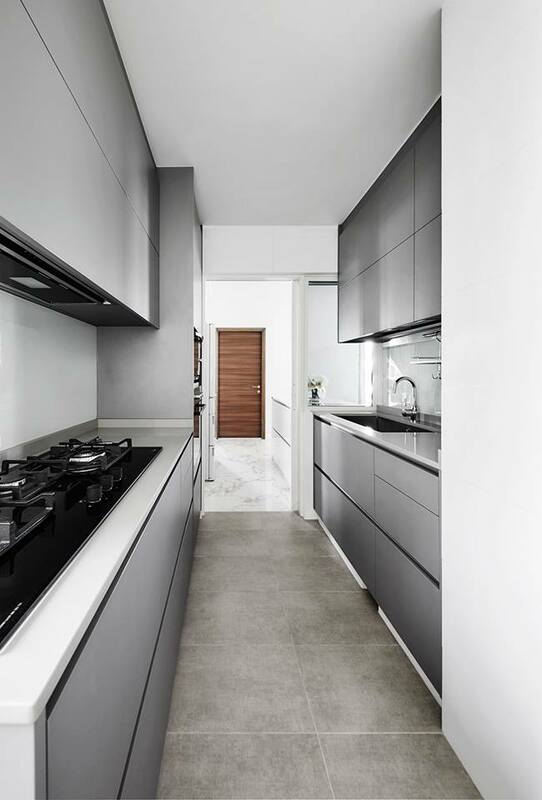 The image below features a washed out laminate that had been applied to the cabinet space – this grey themed kitchen chases away the claustrophobia of the narrow space and exudes a chic, minimal aura that is the epitome of austere. When you’re working on designing an open kitchen, you have to create a halfway point that works to merge the aesthetics of the kitchen with the other spaces. The image below shows just how it could be done – all it takes is one piece of furniture to create that midtone between the two spaces. Compartmentalizing kitchen paraphernalia is becoming the hottest trend to hit the market these days. 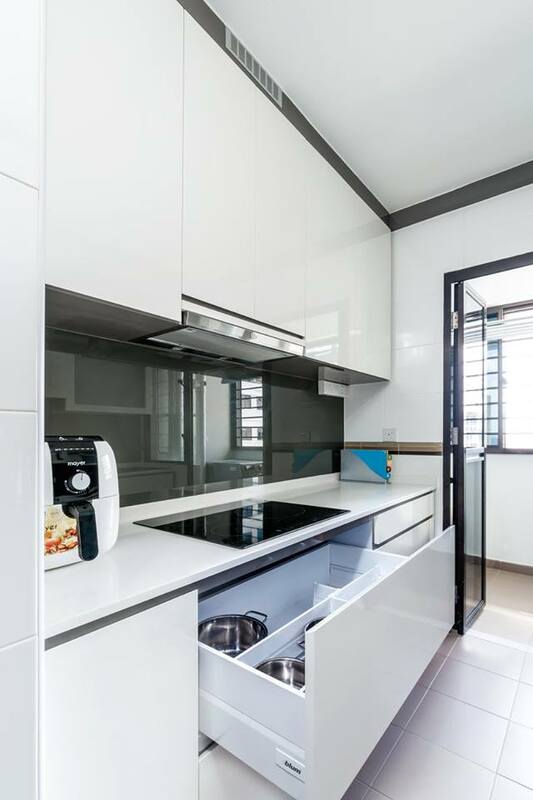 These interventions allow the user to move about the kitchen more efficiently and minimizes the clutter throughout the space. While master kitchens usually hide a smaller server’s kitchen in residential interiors, this unique intervention is all about creating a solid midway between the master server’s kitchen and the dining space. it is an ingenious way to hide away the clutter of a big kitchen without compromising too much space. Some would say that open shelving is quite redundant, and sometimes it could be. 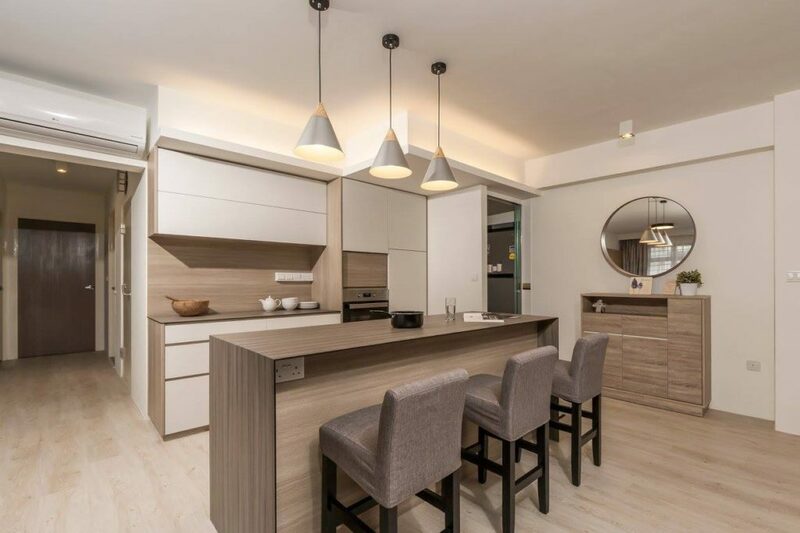 In those cases, it is the only storage option within a kitchen, but when you combine open shelving with closed cabinetry then you can expertly amalgamate both the visuals and function without compromising on either. While counters are a usual kitchen amenity, they always remain inside the bounds of the working kitchen space. However, the designers have taken liberty with that convention and introduced a small counter extension outside of the main kitchen. This serves both an aesthetical as well as a functional aspect. 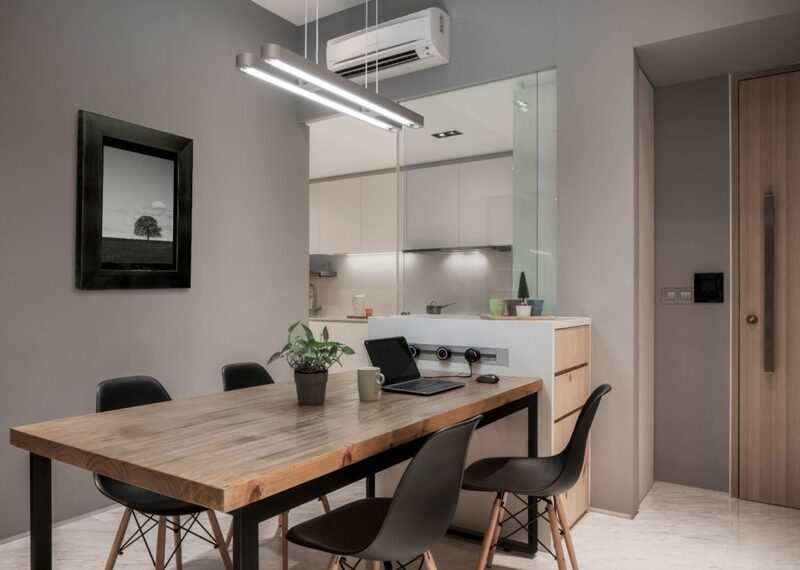 The small extension could be used to store cutlery, crockery as well as other dining paraphernalia – all within the reach of the dining table set.